you may find the following link useful for Personal Study as well as History more generally. Some great advice on a whole range of History related topics. Some key guidance on working with historians in preparation for your Personal Study. As you read for your Personal Study you will be developing your understadning of key historical debates. However you need to be careful not to take historians at face value. Historians are in the buisness of convincing you of their argument. To get top marks in Persoanl Study, you need to engage critically with what historians are saying and think about their specific approach to the topic. This approach in itself might have merits and demerits fo the purpose you are using it for. You will need to think about the evidence used and approach of historians in order to comment on their usefulness/reliability in your evidence review. This is also a really good habit to get into for further study!! You may find this radio programme from Melvin Bragg quite useful as he investigates the history of history writing LINK. the way successive ages have understood their world. In short, there is a history to history." Melvyn Bragg and guests discuss the Dreyfus Affair, which tore France apart in the 1890s. With Robert Gildea, Robert Tombs and Ruth Harris. The impact and legacy of the French Revolution on European culture and politics. With Stephan Collini, Andrew Roberts and Anne Janowitz. Melvyn Bragg and his guests discuss the work and influence of the 18th-century philosopher Moses Mendelssohn. Moses's learning earned him the sobriquet of the 'German Socrates' and he is considered to be one of the principal architects of the Haskala, the Jewish Enlightenment. Today, he is perhaps best remembered for his efforts to bring Jewish and German culture closer together and for his plea for religious toleration. Melvyn Bragg is joined by Christopher Clark, Professor of Modern European History at the University of Cambridge; Abigail Green, Tutor and Fellow in History at the University of Oxford and Adam Sutcliffe, Senior Lecturer in European History at King's College, London. 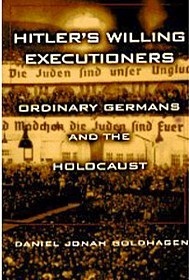 Melvyn Bragg examines Adolf Hitler and Nazi Germany though historiographical theories. With guests Ian Kershaw, Niall Ferguson and Mary Fulbrook. Melvyn Bragg examines whether we can ever predict the future by understanding the past. With Eric Hobsbawm and Richard Evans. The podcast below is taken from a talk by historian Geoge Goodwin, given at Harrogate Grammar School on 28th September 2012. 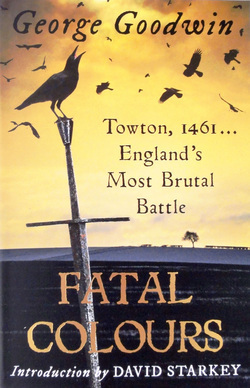 The talk is based on George's book: "Fatal Colours" about the Battle of Towton. In the talk, George explains the significance of Henry VI's mental illness as well as the significance of the Battle of Towton itself. This is a great place to start when thinking about the significance of people or events. George's book "Fatal Colours" is now available in paperback and is a very engaging and entertaining read. It was also very well received in the historical community and might make an excellent base on which to begin a Personal Study. George Goodwin - Battle Towton from A Ford on Vimeo. 50 Most Important Events in World History?